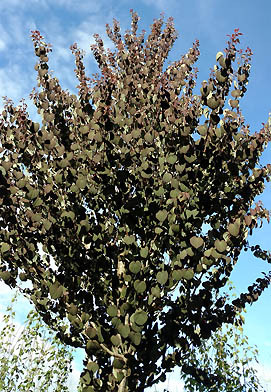 Heart shaped leaves emerge a rich purple, changing to green-purple in summer. Yellow, orange fall color. Leaves in fall give off a distinctive cotton candy smell.